The Tekota is a small sized SW boat fishing or and/or light trolling reel. It describes it selves best as ‘a workhorse’. The reel has a levelwind system which is easy for the angler to get the line spooled well on the spool. 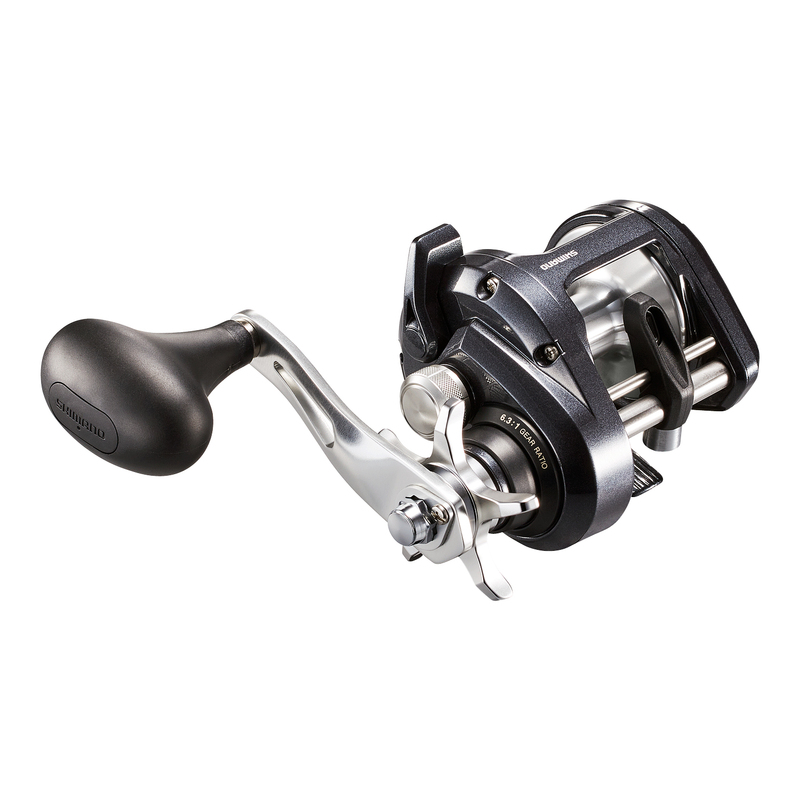 The reel is equipped with very strong gearing, 3 S AR-B bearings, a clicker system, Hagane Aluminum Body frame and optional a line counter. The type of drag is a star drag, which is easy to adjust during the fight of a fish. Compared to the previous model, many things are new (body, looks, handle, gear ratio, drag power improved, weight slightly reduced, etc). Boat fishing, light SW trolling. A compact body is a reel with a smaller body than usual, when you compare it to the line capacity of a equivalent model. For example: a size 3000 reel and a size C3000 reel have the same line capacity, but the C3000 has a smaller body. E.I Surface treatment doubles the durability of the spool surface and gives less wear out by eliminating oxidation.